Snowbasin Resort affiliates itself with top-rated lodging partners which compliment their nationally ranked customer service and attention to detail, keeping our valued patrons returning year after year. We have teamed up with several lodging facilities, located just minutes away from Snowbasin Resorts’s ticket windows and base area, which offer a variety of lodging preferences from full service hotels to personal condos. Our sister properties The Grand America and Little America are just 40 miles from Snowbasin and is an easy drive up a wide open highway. Have the best of both worlds with city life at night mixed with a great day on uncrowded slopes. Ogden Valley sits just minutes below Snowbasin Resort and surrounds Pineview Reservoir with breathtaking views of the mountains. NEW COMPLIMENTARY SKI SHUTTLE between Lakeside Village, The Escapes at Edgewater and all Huntsville Luxury homes to Snowbasin Resort 7 days a week. 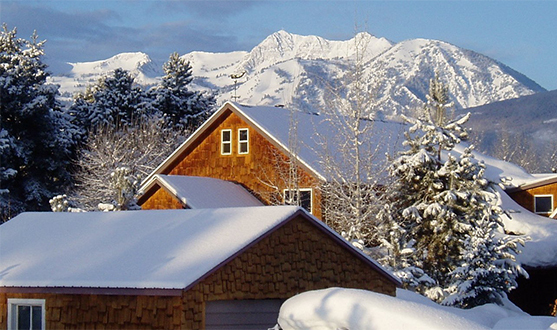 Mountain Luxury Lodging is a collection of townhouses, condos and luxury homes situated in Eden and Huntsville Utah. These vacation rentals are perfect for weddings or serene getaways and include customer service with amenities surpassing that of a 5-star hotel. Specializing in luxury vacation rentals at Wolf Creek Resort. You will find everything you need for your year-round getaway right here in the heart of the Ogden Valley. All our properties are located just minutes from world-class outdoor recreation, including skiing, golfing, paddle boarding, boating, hiking, biking. 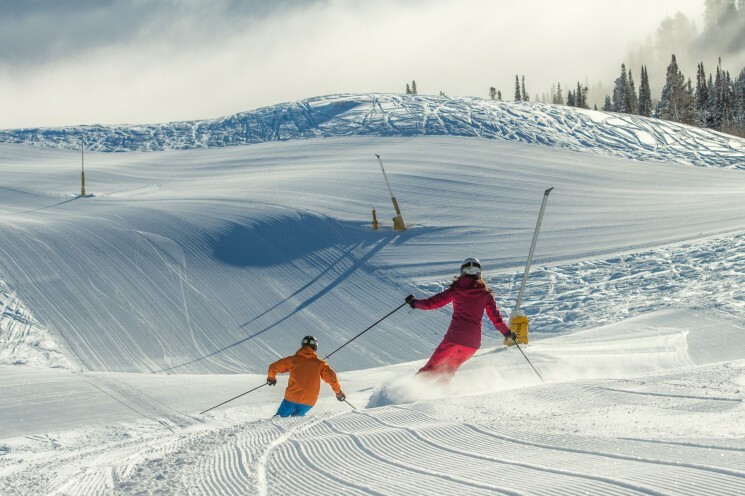 Wolf Creek Resort is a true four-season resort, which has the perfect activity for every member of your family. Create an unforgettable experience at the brand new Compass Rose Lodge. Minutes away from Snowbasin, this boutique hotel offers 15 premium rooms and impeccable customer service. Get energized each morning with breakfast from First Lift Coffee Shop, located on the main floor, before taking your first run on the slopes. After returning from your day of adventure, take a moment to relax while stargazing through a high powered telescope in the hotel observatory. When the snow melts, enjoy an abundance of area activities including mountain biking, and hiking Snowbasin, or paddleboard on Pineview Reservoir, adjacent to the hotel. Enjoy the peaceful setting of Huntsville and the Ogden Valley. Skiers and Snowboarders alike enjoy Atomic Chalet’s hip accommodations, modest prices, and close proximity to the lifts. Uniquely decorated guestrooms feature king beds & private bathrooms. A peak performance breakfast is served each morning from 7:00 am -9:00 am and the greatest snow on earth is only minutes away. They offer a convenient ski closet for all your equipment and include boot and glove dryers. The best deal is 4 or more nights @ $129/night. Utah’s Alaskan Inn reflects the deeply wooded forests, snow-capped mountains, undisturbed wildlife, and stunning beauty that embodies Alaska. That same ‘Spirit of Alaska’ can be found in picturesque Ogden Canyon, where among lofting pines and limestone-crested cliffs, you will find the Alaskan Inn. Our secluded and intimate boutique hotel is situated on the banks of the beautiful Ogden River, featuring twenty-three suites and private cabins and located only 14 Miles from Snowbasin. 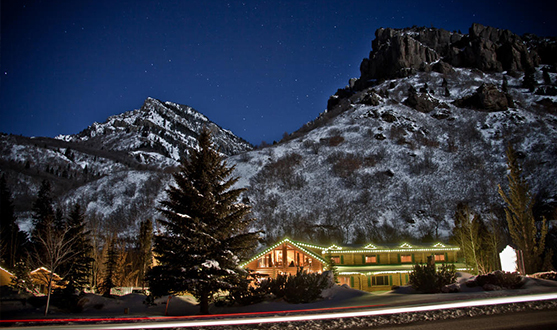 Utah Lodging boasts the largest inventory of homes in the area, spanning from two to eight bedrooms. Most have private hot tubs, multiple master suites and living areas, theater rooms, billiards tables, 2-car garage and onsite amenities such as workout rooms, swimming pools and tennis courts. Let us accommodate you! Snowbasin Resort is just 17 miles from downtown Ogden, easily accessed by UTA Bus Service. If you are looking for great restaurants, art galleries, activities and shopping, Ogden is the place to be! Planning a ski trip? Stay at the Hampton Inn & Suites by Hilton Downtown; minutes away from Snowbasin Resort. This location allows you to ski all day, play all night, refuel, and REPEAT! We offer a hot complimentary buffet breakfast, Free Wi-Fi, and parking, along with an Olympic size Hot Tub, which will allow you to soak after a day on the slopes! This is not your typical Hampton by Hilton; This upscale Hampton Inn & Suites is located in Ogden is an 8 story stone structure accented with lavish marble floors, 15-foot cornice-trimmed ceilings, and boutique-style décor in the lobby. With the panoramic Wasatch Mountains serving as a backdrop on its East side, the Hampton Inn & Suites is virtually a walk around the corner from Ogden’s Historic 25th street, art galleries, nightlife, micro-breweries, indoor rock climbing, indoor surfing, indoor skydiving, 20+ Local restaurants, movie theatres, and comedy club. It’s never been easier to ski the best snow in Utah when you stay in Davis County. Located just 30 minutes away from Snowbasin Resort, Davis County is the perfect base camp for your next ski adventure. 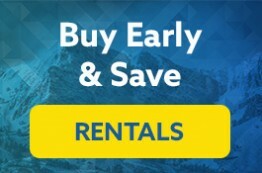 Not only can you get up to 25% savings with select hotel ski packages, but these packages also include bus passes for Davis County’s newly launched Snowbasin Ski Service that will take you straight from your hotel to the slopes, no parking required. 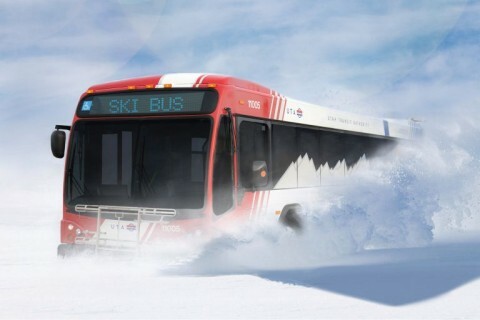 Take the Ski Bus from the Ogden area or Layton for an easy and convenient ride from your hotel! Staying in Park City? You're closer than you think to wide open runs and no lift lines.